About 10 years ago, Am Vichet was staring at a clear night sky outside his home in Takhmao City when he witnessed something that would change his life. “I was sitting together with my brother and sister at home and I looked up at the sky. I see one object,” Mr. Vichet recounted on Thursday. At first he thought it was an airplane. But after taking a second look, he concluded that the object was from a different realm altogether. “It was flying around and around. The first thought was, ‘That’s an airplane,’ but later on I saw that it was not moving fast, further and further,” he said. The seeds of intrigue regarding UFOs had been sown in his mind a couple of weeks before, when he had attended a seminar hosted by foreign followers of a movement in Phnom Penh as they attempted to recruit Cambodians to the world’s biggest UFO cult—the Raelian Movement. 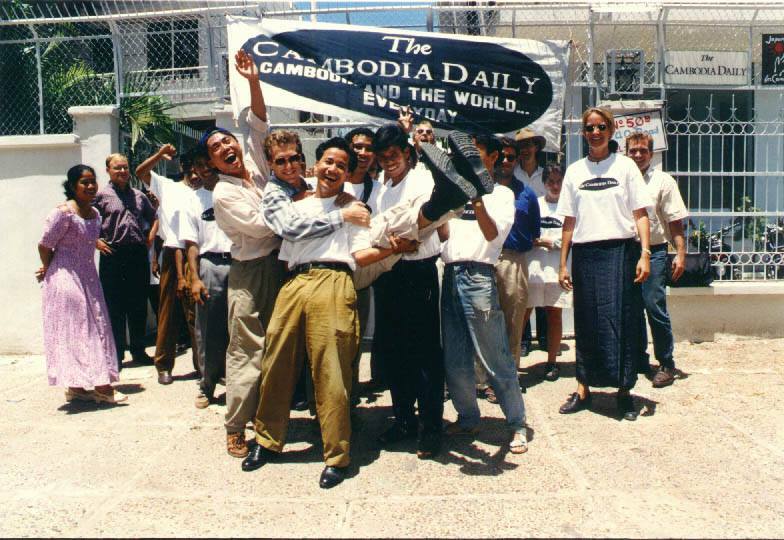 After witnessing the UFO circling Kandal province firsthand, Mr. Vichet said, it was the moment that he decided to become Cambodia’s first officially baptized member of the movement. Raelism was founded in 1974 by a French journalist named Claude Vorilhon. He claims that on December 13, 1973, at the age of 27, he drove his sports car up the Puy de Lassolas volcano park in central France when a spaceship in the shape of a flattened bell descended from the sky and hovered in front of him. A small, long-haired extraterrestrial named Yahweh then descended down a staircase and asked Mr. Vorilhon to join him on board. Over the next six days, Yahweh told the Frenchman that he and other extraterrestrials, or Elohim, had created humanity about 25,000 years before. Over time, they had sent numerous prophets, including Jesus and Buddha, to Earth in order to communicate messages of love and peace. Yahweh said that humanity was at last capable of understanding this, and the time had come for an embassy to be built in order for them to make a safe return. Mr. Vorilhon, or Rael as he is now known, has yet to convince a country to let him build an embassy and the Elohim are yet to return to Earth. Despite this, his devout followers are still globetrotting in an effort to attract more into his UFO movement, which it claims boasts more than 85,000 members in 104 countries. 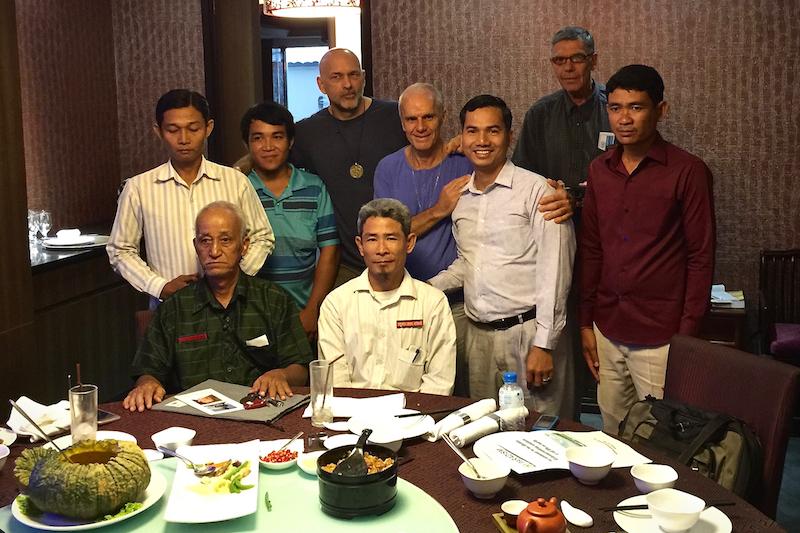 Tuesday was the 43rd anniversary of Rael’s “first encounter” with Yahweh and the occasion was marked in Cambodia by a small gathering of nine people, including three foreign Raelians and a handful of tuk-tuk drivers drafted in to make up the numbers, inside a small room at the Taiming Plaza Hotel on Norodom Boulevard. Paradism is based on observations Rael claims he made on a trip to the Elohim planet in 1975. Details on how paradism is to be implemented are not totally clear. Speaking after the meeting, however, Mr. Mayrand—who attributed the fact that there are only two active Cambodian Raelians to, in part, newspapers not having “a good reputation for telling the truth”—said he believed Rael’s early teachings illustrate that paradism is attainable. “I believe [in paradism], but he told that in 1973. That’s the amazing thing: He knew all of this. It’s written in the message that we would get to this point and now we are getting there and we’re very close to this paradise,” he said. “In 1975, the second encounter, they brought him to the planet where they live eternally in the paradise. They explain in the book how they get to the eternal. Everything is explained. It’s a very scientific explanation,” he added. Oy Sith, who attended the meeting to find out more about Raelism, said that although he agreed with the religion’s general message of love and unity, he found the theories about extraterrestrials and living a life with no work or money rather far-fetched. Mr. Vichet said about 1,000 had attended events over the years and many have shown an interest—including a deputy prime minister whom he declined to name. 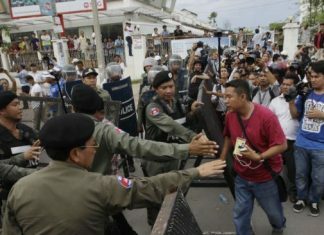 However, the utopian concepts of Rael­ism and paradism are yet to strike a chord with Cambodians, he conceded. “The concept is a very high-level for the Cambodians. Some may not understand and find it very difficult to accept this one because they are working very hard for their business. Some people are still thinking about working for their living, working for money,” he said. Cambodia’s first official Raelian cited the importance of the establishment of an embassy somewhere on the planet to call the Elohim back to earth. A 2013 request to Prime Minister Hun Sen’s cabinet to erect one in Phnom Penh went ignored. Despite the absence of an embassy and the lack of success in attracting new followers, Mr. Vichet had faith that the power of the Elohim could still bring paradise to Cambodia. 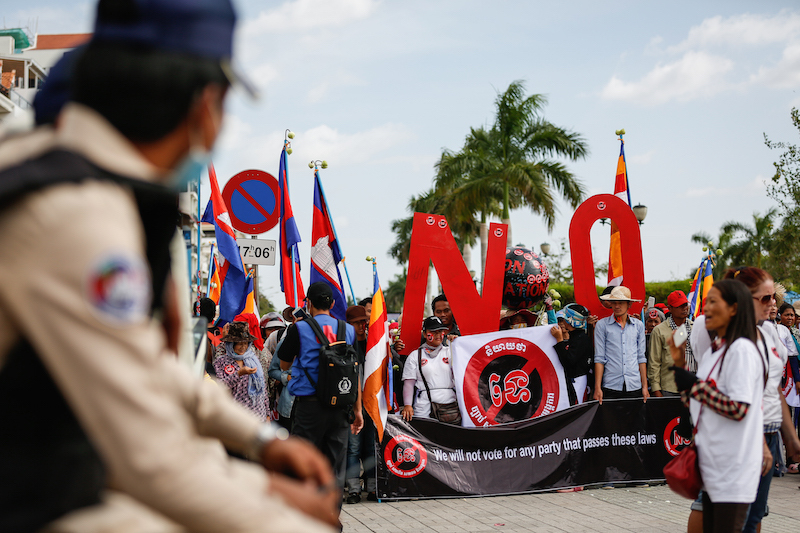 “Maybe for Cambodia this will take time. 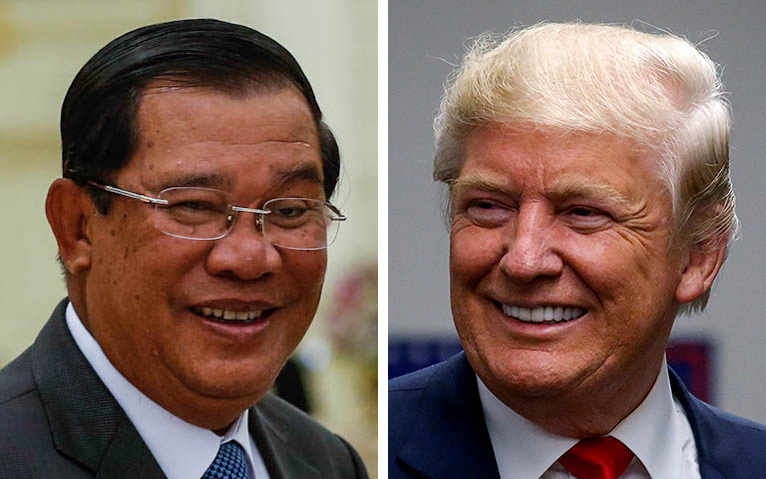 I do believe that we will reach it one day, but for me, if there is not any power from the Elohim, I think that it will happen very slowly in a developing country like Cambodia,” he said.